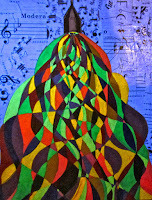 A growing art event, Hostel Takeover, at Hostelling International Downtown San Diego has been helping downtown San Diego become more inviting to local artists. Hostel Takeover has succeeded in not only bringing fresh local art to that area of town that had never represented San Diego’s local culture, but has also been bringing in more and more local artists of all mediums. Held every few months, this event has also been attracting as many as 400 attendees from all parts of the country as well as some international guests. 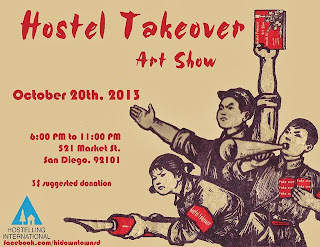 The next Hostel Takeover will be held Sunday, October 20, 2013 from 6:00 to 11:00 pm. Not only will visitors be treated to an amazing array of artistic endeavors but there will also be delicious food and live music for your enjoyment. 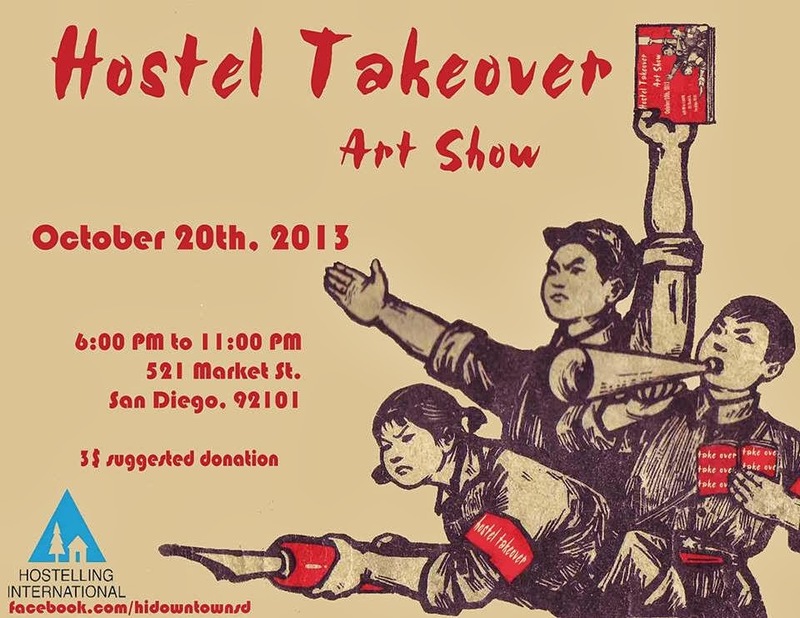 If you would like to participate, please send an email to hosteltakeover@sandiegohostels.org. There is a suggested donation of $3.00 to attend.